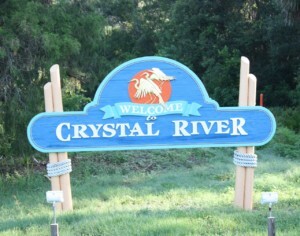 Visit Citrus County the place where everyone is friendly. It’s been a while and we needed to get away so we packed up the SUV along with our new bike rake and old bikes and hit the road. Road trip here we come. 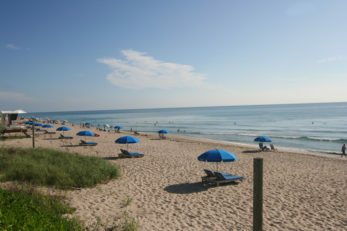 We love driving through Florida and always try and stay off the highways and on the smaller roads. 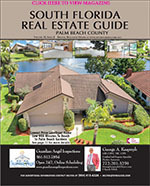 If you want a great long weekend road trip visit Citrus County Florida. It’s an outdoors enthusiates place to visit. 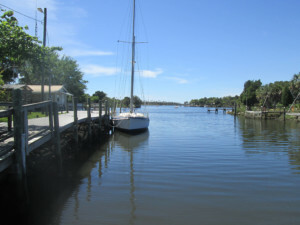 From scalloping, to biking, to manatee’s everywhere, kayaking, fishing, swimming, state parks, history, old quiant towns, spring feed rivers and a very casual lifestyle. 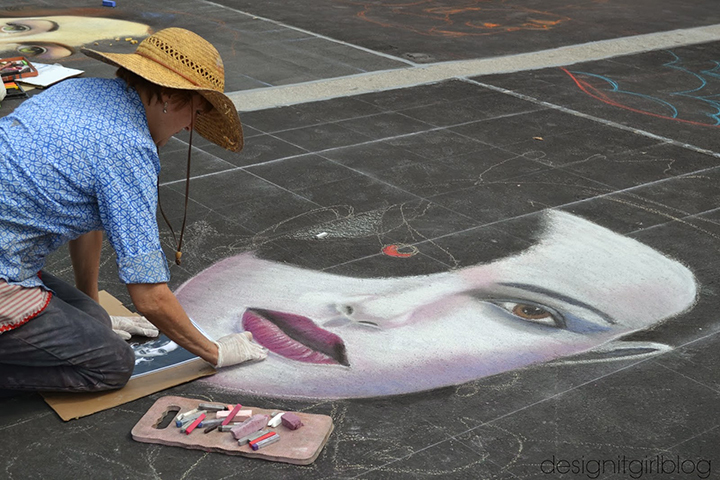 Don’t forget to add extra time to whatever you do there as you will need time it saying hello to so many people. 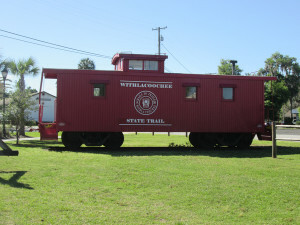 The bike trail was previously railroad tracks that was used for transporting phosphate. Phosphate was discovered around 1895 and the mining boom took off. 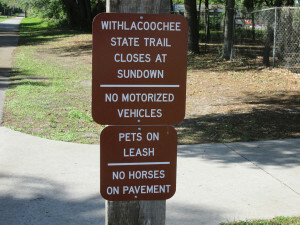 Withlacoochee State Trail is 46 miles long, and it used to be railroad tracks and was converted to this long biking trail that in many places follows the Withlacoohee River and some lakes. 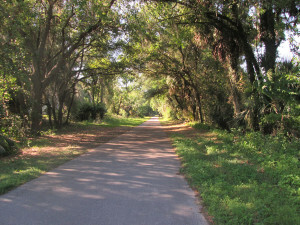 It is the longest paved trail in Florida. 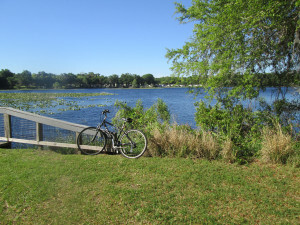 When the trail goes through downtown Inverness in Citrus County you will have a opportunity to explore this quaint town. The trail is mostly flat and easy to ride. Don’t forget to bring a camera. 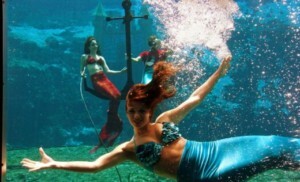 Weeki Wachee opened its doors in October 1947 and in the 1950’s it was the nations most popular tourist stops. Girls dressed as mermaids perform underwater while you sit in a room with a glass wall and you can watch the show. This stop is a tradition all parents have to bring their young children here and listen to them complain. 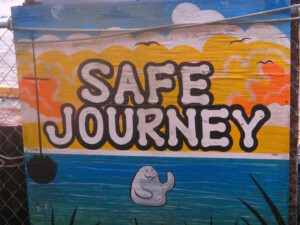 But don’t worry you will get the last laugh when they grown up and bring their children to Weeki Wachee. I know, I was the 10 year old complainer. Now all our young visitors are taken there. 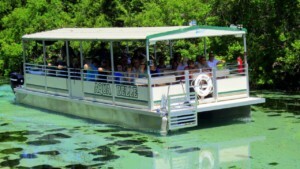 You can also take a river boat cruise down the Weeki Wachee River and this is a must do event. 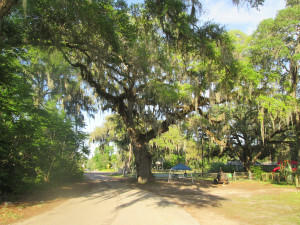 It is run buy State Park. 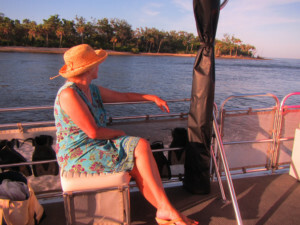 Canoe and kayak rentals are available and keep your eyes open for manatee’s. 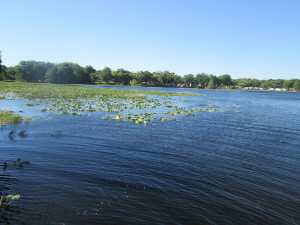 Paddling adventures is the only place to rent on this spring fed river. 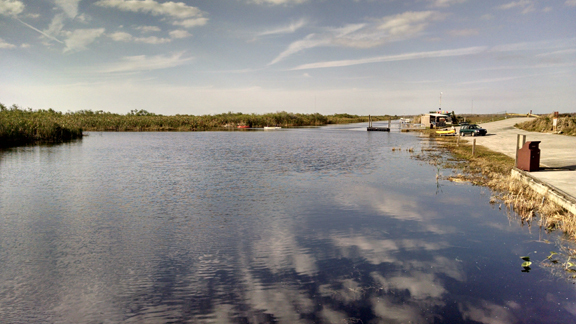 Crystal river has to be the only place in Florida where you can go scalloping. Season opens July 4th and covers a very wide area in the gulf. We chartered a boat twice and had more fun than you can imagine. The first time it was private with just the family. 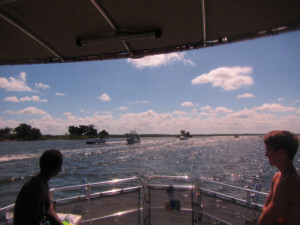 The second time we were in a pontoon boat with a small group. Either way it was great, the 5 mile ride out the river and into the gulf is worth the price by itself. 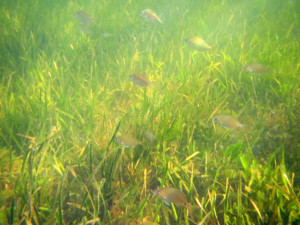 Once you get to the captains secret spot you’ll find the water only 3-4 feet deep and it’s crystal clear. 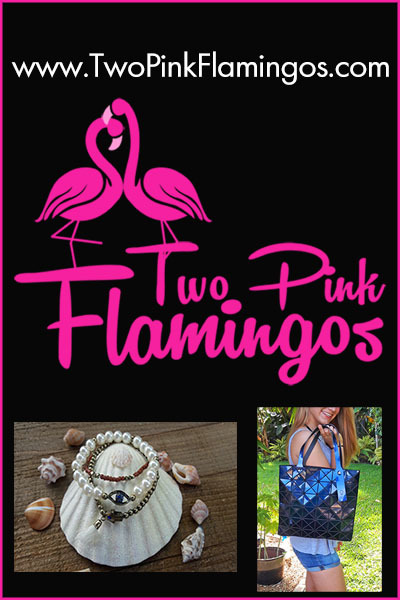 All you need is a bag and mask,snorkel and fins and you are in business. Off to the big hunt. 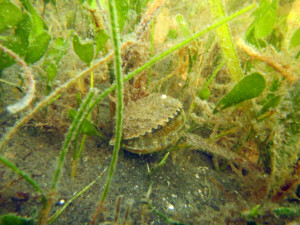 To scallop, you simply float along the surface or gently swim over our expansive grass flats in 4-6 feet of water, enjoying the various fish, plants and coral until you spot those vibrant blue “eyes” or the bay scallop’s well-recognized shell shape. 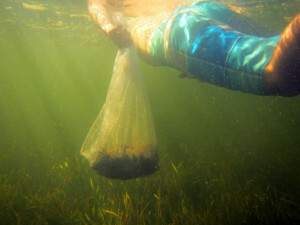 Hold your breath, take a shallow dive down, placing either your hand or small dip net behind or under the scallop and gently place it in your mesh bag. That’s it for part one of our new favorite place to visit. 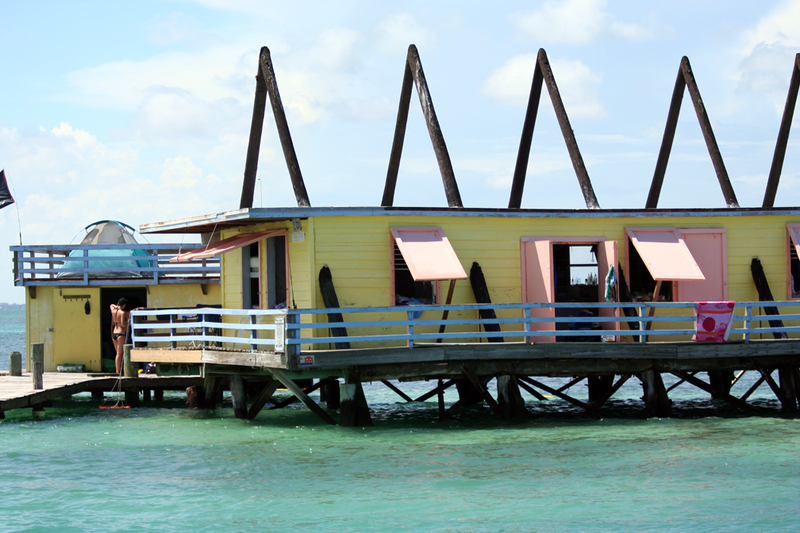 Next part II will have you swimming with manatee’s, kayaking down two rivers and a stop to drink and eat the freshest fish every. 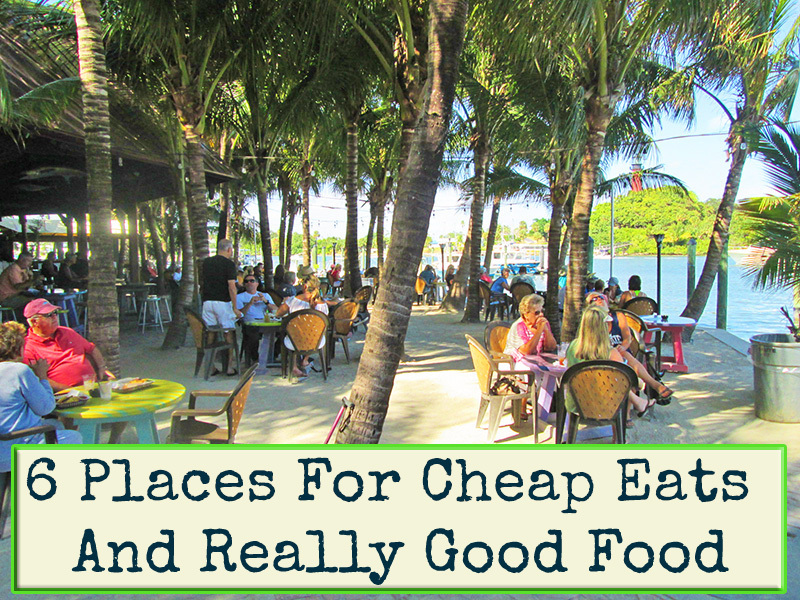 You will love this waterfront eatery.